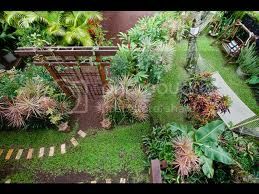 Create a Tropical Garden Landscape Design – Tropical garden Ideas, tips and photos. Inspiration for your tropical landscaping. Tropical landscape plants, garden ideas and plans. Lots of colour! Colour in a Tropical garden can be achieved through several methods. Foliage colour is most important, think big bold colourful plants such as cordylines, flaxes, gingers, heliconias and crotons. 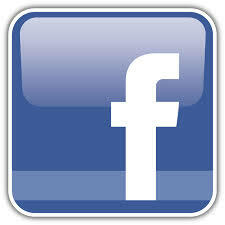 Foliage colour is important because it is permanent, as opposed to tropical flowering plants which come and go. Clump your plants to achieve bold displays of foliage colour. Colour in the garden can also be highlighted by using various landscaping materials of different forms, textures and colours, such as light coloured pebbles and dark paver stepping stones. Ensure that your landscape design is an open, free form style. Avoid ridge straight lines and formal hedges. Try and add contrasting clumps of foliage to create informal blocks of colour. 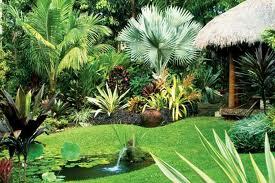 Water is often used in tropical garden designs, a simple pond of water feature can transform a garden space. 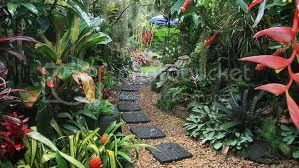 Winding, flowing pathways and garden rooms add a sense of intrigue to tropical gardens.